The Government's Digital Economy Bill is coming under scrutiny from the Joint Committee on Human Rights, which has said that it needs to see more details in the law before it can be passed. One significant issue the Committee has raised is whether the warning and disconnection system proposed in the Bill is a proportional response to the infringement targeted. Not only that, but without more detail the Committee says it cannot make a judgement as to whether the disconnections will interfere with rights to privacy and freedom of expression. With disconnection referred to as 'technical measures' in the Bill, the breadth of measures will also need to be specified, with the Committee adding: "As we have explained in the past, flexibility is not an appropriate reason for defining a power which engages individual rights without adequate precision to allow for proper parliamentary scrutiny of its proportionality." 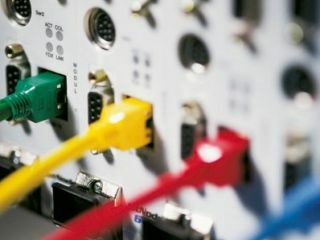 For its part, the Government has argued that "the sending of notifications and the keeping of lists in themselves do not affect the level of service provided by the ISP and received by the subscriber," according to the report, though you would think eventually being cut off would quite significantly affect a subscriber's service. The report from the Committee acknowledges the Government's response, but goes on to say that it considers that "there is a stronger case that these provisions may engage the right to respect for private life than has been acknowledged by the Government". The technical side of the report concludes by recommending an assessment by OFCOM of the "necessity and proportionality" of the 'technical measures', and much better detailing of the "minimum criteria for the imposition of technical measures" including the standard of proof and the "trigger" for resorting to heavy measures. With the Committee's report echoing earlier concerns about the lack of information about a right of appeal in the case of copyright infringement reports, it seems that the Digital Economy Bill is still far from being viable.